This glamorous golden pendant necklace is from Italian jewelry designer Roberto Coin. Crafted in 18K yellow gold, a satin-finish heart shape embellished with a braid-effect trim hangs from an 18" precious metal chain on a slant. The lovely lean is achieved by design; the two sides of the pendant are not mirror images of each other. 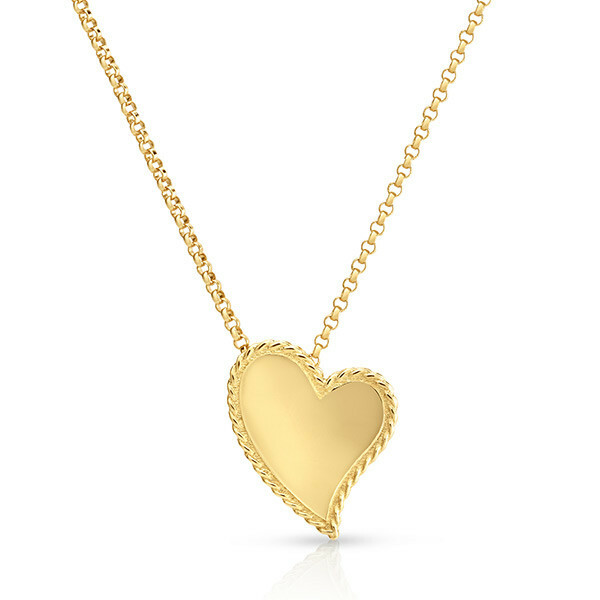 You'll be inclined to wear this Roberto Coin heart pendant necklace every day!